Rachael Falk: The Chief Executive Officer of the Cyber Security Cooperative Research Centre (Cyber Security CRC). 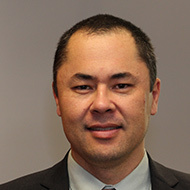 Ross Lettau: The Virtual Chief Information Security Officer at Thales Australia. Martin Buckland: General Manager APAC, for Huntsman Security. ASPI's Tom Uren facilitated the discussion.